Honda has a few historically important motorcycles and one of them is the original Z50 better known as the Monkey or Z-Series of mini bikes. The Monkey was popular due to it’s moto-racing support bike doing errands around the race track back in the 70’s to 80’s. The nick name Monkey was due to the way a rider would look like when riding it which was like the ancient money on bicycle toys and street performers of the the 1800’s and 1900’s. 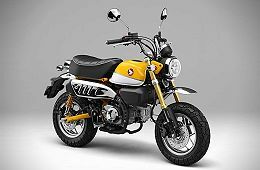 Due to the surprising popularity of the mini nike class in particular the GROM they announced an all new Monkey version for 2018/2019. The new Monkey bears a resemblance to the original model but clearly updated and amplified it’s classic design features for 2019. It shouts fun and retro motorcycle and and miniature cafe-racer, will appeal to anyone rider young or old. 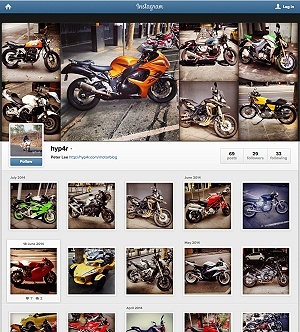 The engine and mechanicals are from the Honda GROM 125 which means plenty of aftermarket parts and support. The frame is a modification in particular the tubular rear swing arms. Modern features as standard include keyless start, electronic fuel injection, digital instruments, LED headlights and if the show model is to be believed ABS brakes! It is surprising that Honda has introduced another 125cc motorcycle which are clearly not practical commuting motorcycles. I’m not sure which one I prefer, the GROM or the new Monkey. Recommended retail pricing is expected to be slightly higher than the GROM so around the $5000 AUD price point. It has attractive pricing for an out of the box niche and unique retro motorcycle. Mind you, if it does sell at the $4000 AUD price point I think it will be sell out.